Valencia’s Trevin Kozlowski has committed to attend and play his NCAA Division I hockey at Army beginning in the fall of 2017. 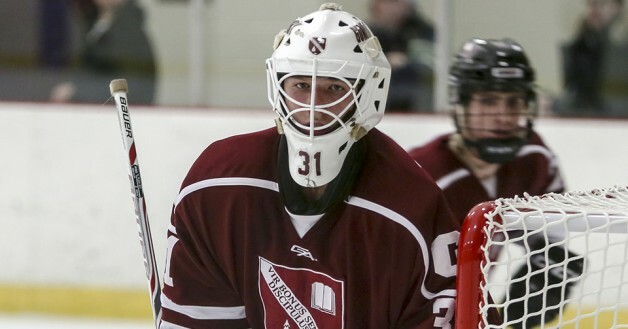 A goaltender, Kozlowski is stopping pucks this season at The Gunnery in Connecticut where he’ll graduate in the spring. He’ll play one year of junior hockey before heading to Army. The 1997-born played his youth hockey for the Los Angeles Jr. Kings, LA Selects, California Titans and Valencia Express before heading to prep school. At Army, Kozlowski will be joined by Westchester native and former Jr. King Taylor Maruya, a ’95-born forward in his freshman season with the Black Knights. Located in West Point, N.Y., Army competes in the Atlantic Hockey Association. Read more on Kozlowski here.